Check out Reliefband.com to learn more! For more information, to read our blog, or to drop us a line, visit EasterSealsTech.com. 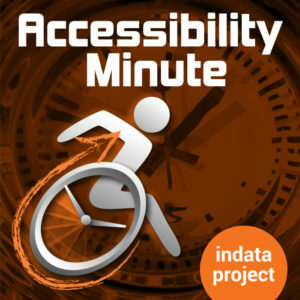 That was your Accessibility Minute for this week! I’m _______ ________ with the INDATA Project at Easterseals Crossroads, in Indiana.